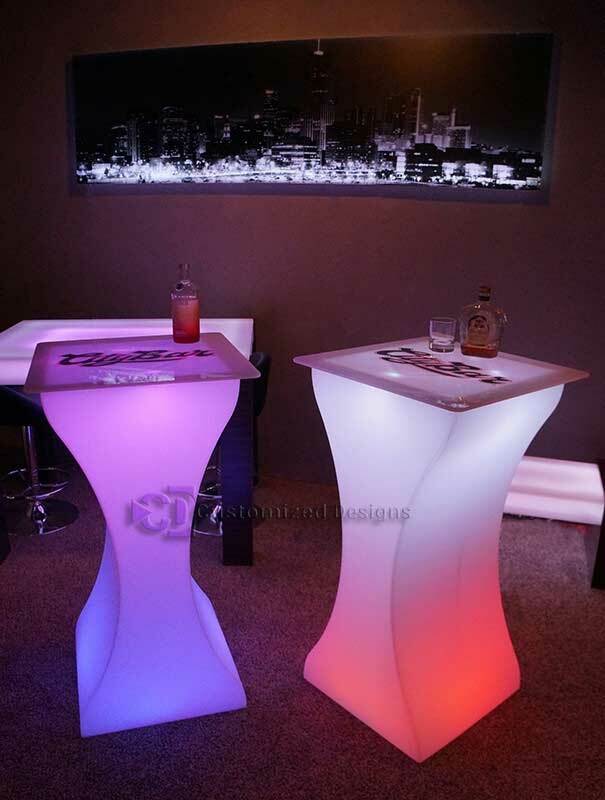 The Curve LED High Boy Table is easily one of our most popular lounge tables. 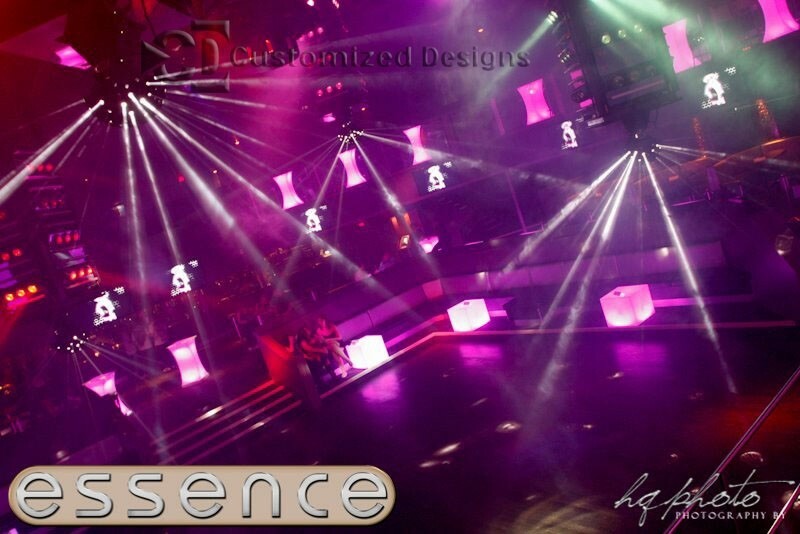 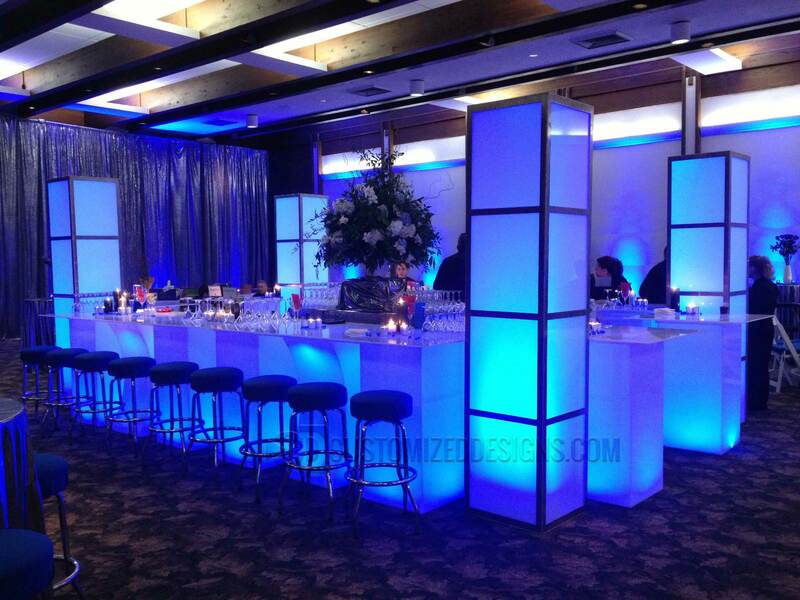 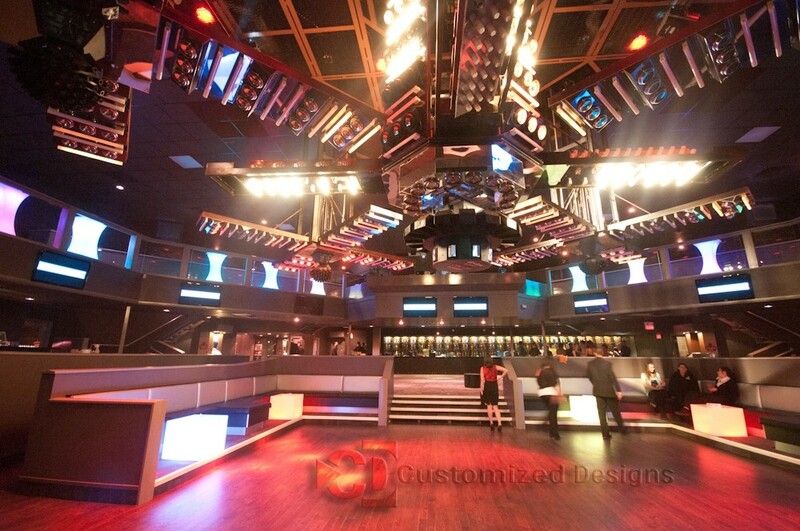 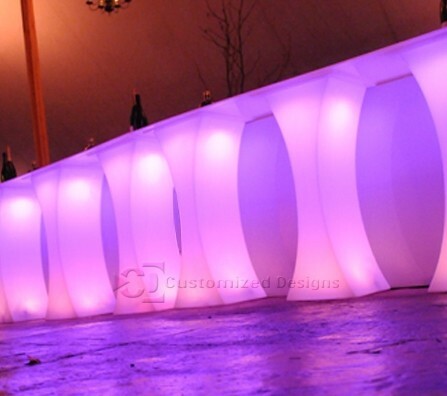 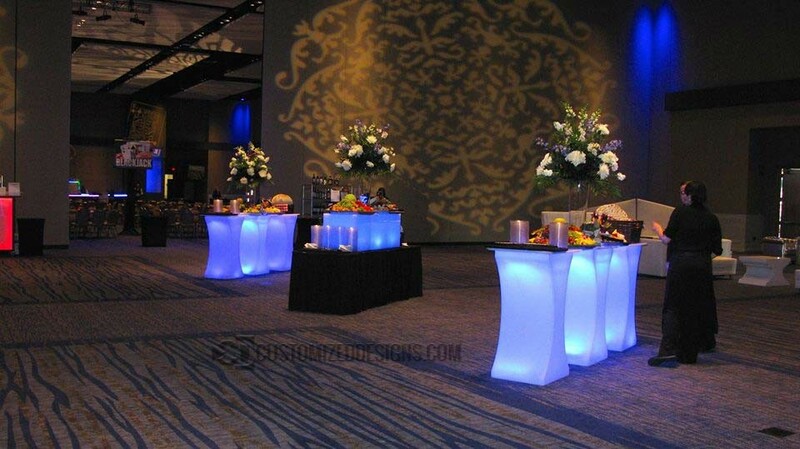 It’s one of a kind curved body and dual controller lighting system will definitely set your venue apart. 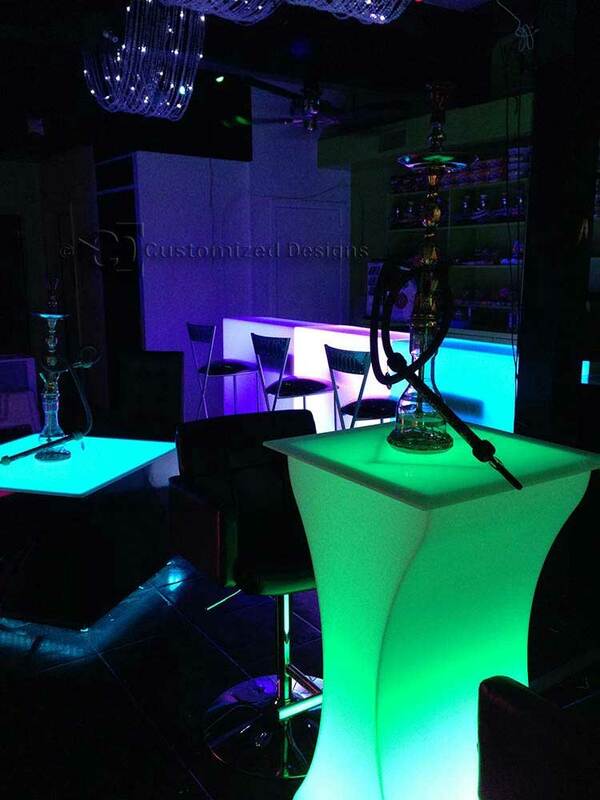 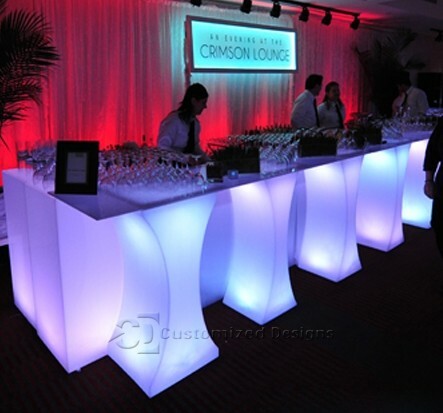 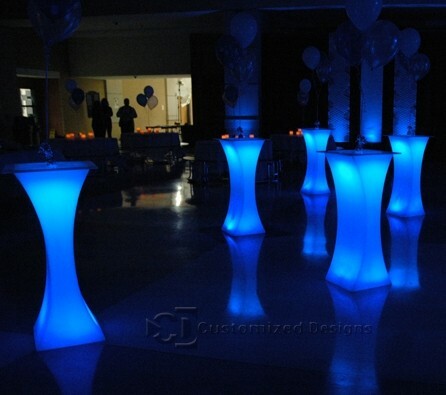 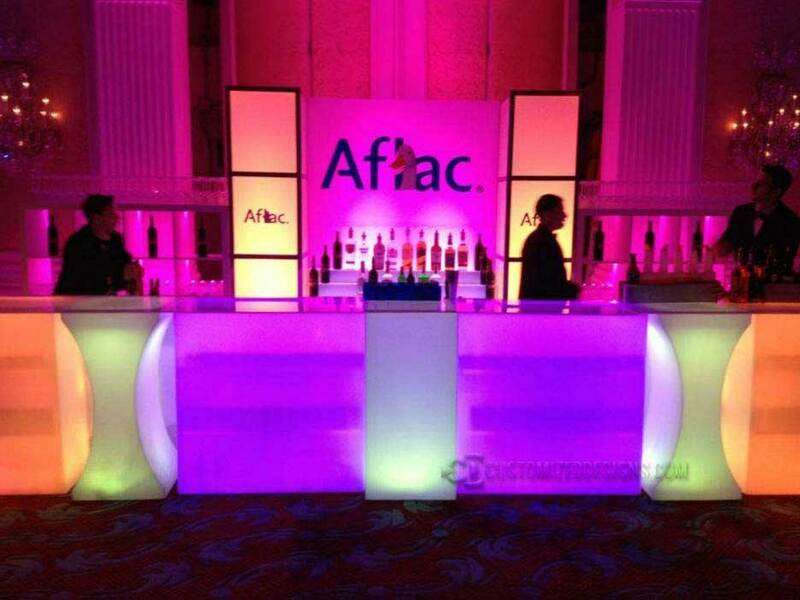 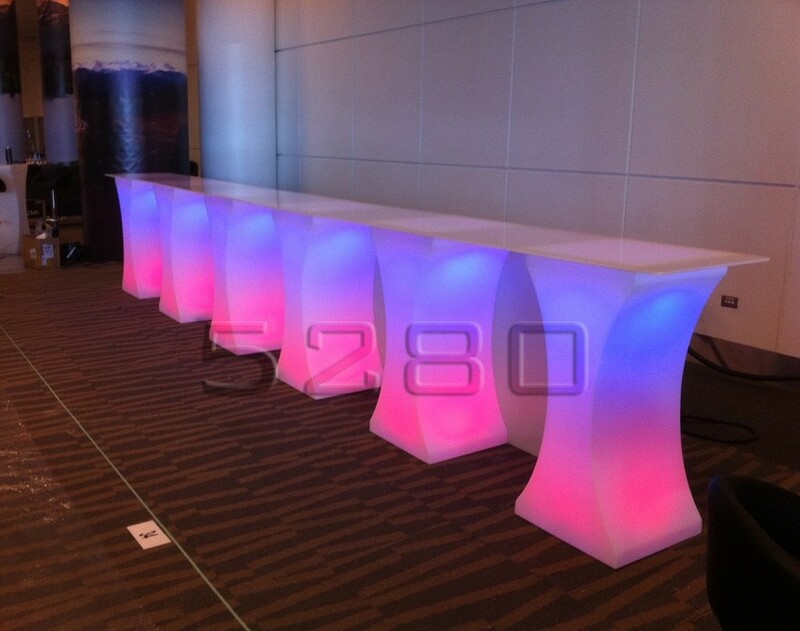 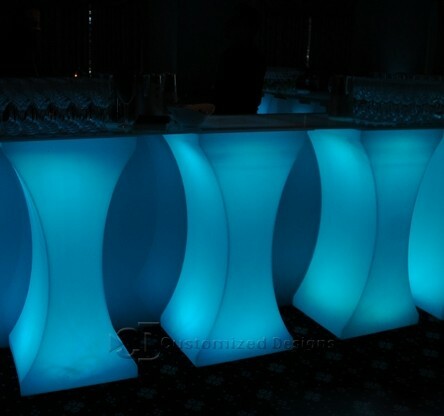 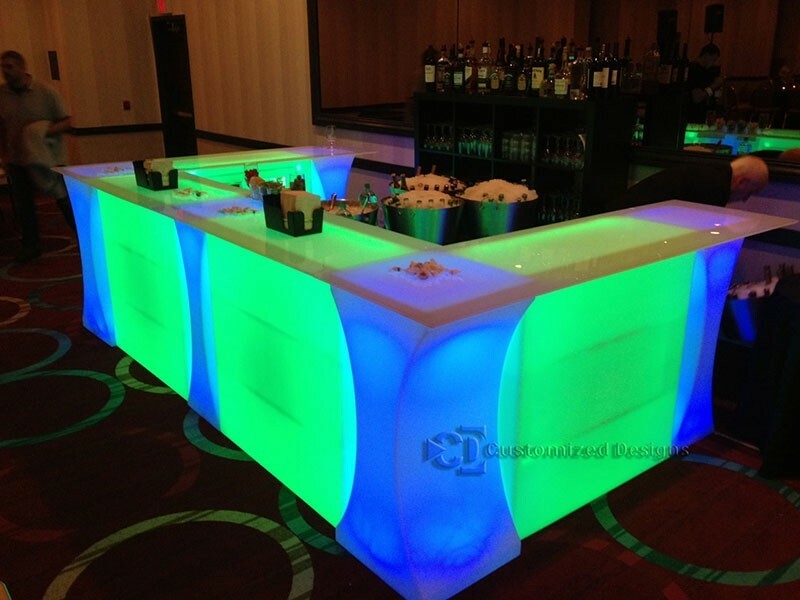 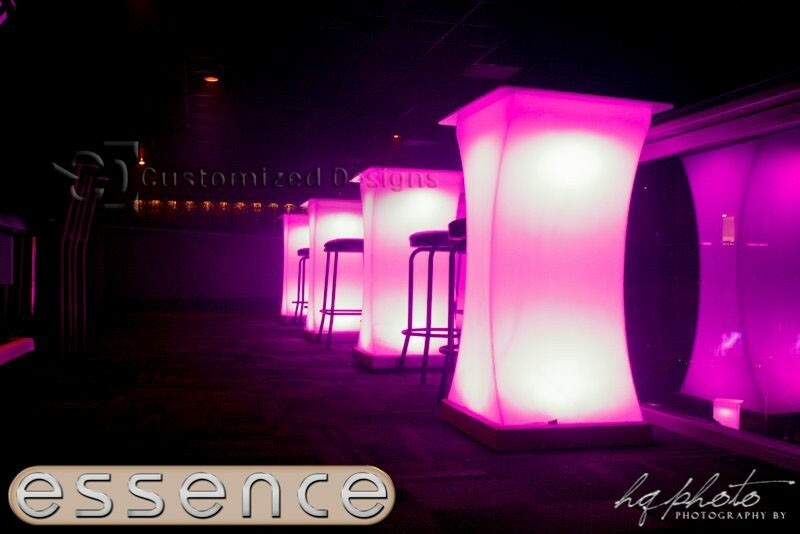 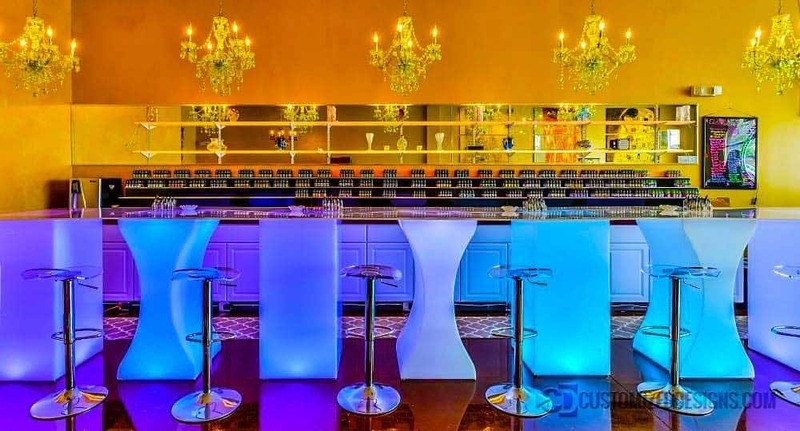 The two-tone lighting configuration can be set to unlimited color combinations to create stunning color mixing effects.This table is sure to be a conversation piece at your event. 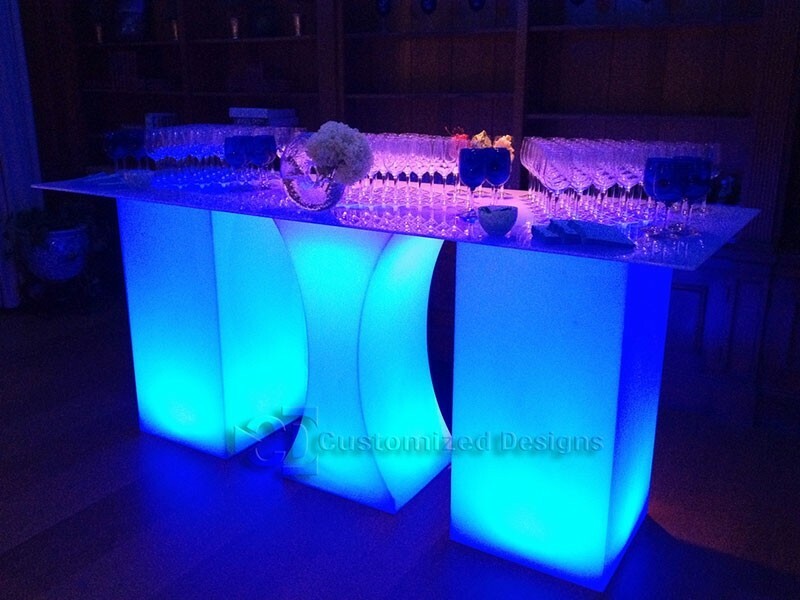 Comes standard with dual zone lighting.